Coffee and sugar, once the purview of only the most economically elite, are now so widely proliferated in American culture that just about anyone can access them. I drink coffee. I eat sweets. You likely do too. What fascinates me is not the fact that we partake of these commodities, but the manner in which we do--as though a box of chocolates might seal or save a romantic connection, a cookie heal some wound, or that our morning cup-o-jo might shift all forces in the cosmos to work in our favor. We are devotees, and our routines with these products become ritual--both individually and communally. 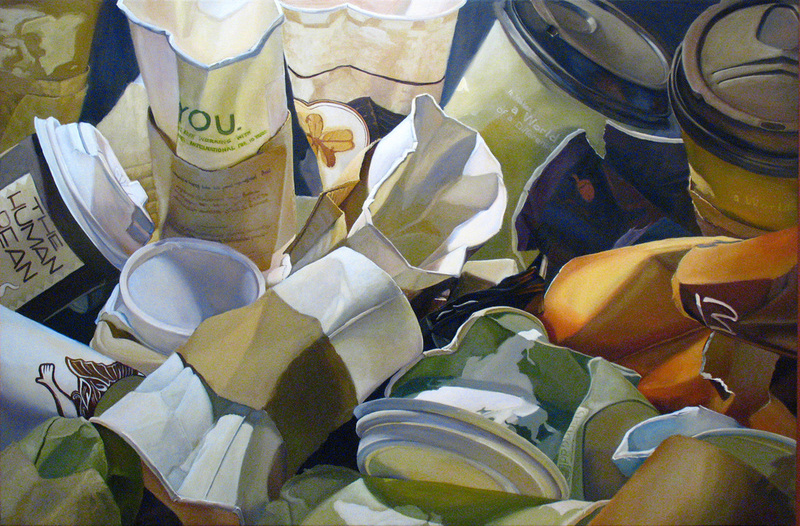 Many of the works focus on the residue left behind by the consumption of coffee and sugar. Bitter/Sweet construes habitual consumption to be an act of petition, a process of recollection, and an expression of devotion.